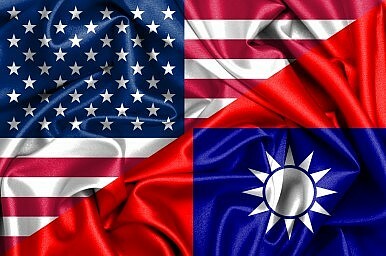 Why don’t we hear much about Taiwan in Washington D.C. anymore? After delivering remarks at the Carnegie Endowment for International Peace on February 27, U.S. Under Secretary of State for Political Affairs Wendy R. Sherman was asked a rather simple question by one of the journalists present: Why don’t we hear much about Taiwan in Washington, D.C. nowadays? John Zang, a journalist with CTiTV in Taiwan, had good reasons to ask. After all, in Sherman’s entire presentation, which focused on the situation in Northeast Asia, Taiwan was only mentioned once. And in that one passing reference, her formulation — “our friendship with the people of Taiwan” — deftly skirted the possibility of Taiwan existing as a nation or state, or the fact that U.S. relations with the “people of Taiwan” are rather more substantial than mere friendship. “Taiwan is not talked about a lot these days in this town,” Zang noted. Sherman, who visited the region earlier that month, returned from her trip with an awareness of the “chronic dangers” that exist in that part of the world. And yet, when asked to explain why Taiwan isn’t mentioned much in Washington, Sherman struck an overly optimistic note. The fact of the matter is that Taiwan isn’t as stable as Sherman would like to think. Last year’s three-week occupation of the legislature by the Sunflower Movement, sparked by a controversial trade agreement with mainland China, unleashed social forces that for all intents and purposes neutralized President Ma Ying-jeou, scuttling chances of further cross-strait deals being signed until he steps down in 2016. The protests also contributed to the severe defeat of the Chinese Nationalist Party (KMT) in the November 29 “nine in one” local elections, forcing Ma to step down as chairman. The opposition Democratic Progressive Party (DPP) — Beijing’s “nemesis” — gained control of all but two of the special municipalities in that election, with Taipei going to independent candidate Ko Wen-je, an ideological ally of the DPP. Furthermore, with the KMT in crisis and seemingly unable to field a strong candidate, the DPP’s chances of winning in the January 2016 presidential election seem very high at the moment, which is sure to cause consternation in President Xi Jinping’s Beijing. Although the DPP has endeavored to establish contact with Beijing and will seek amodus vivendi should it regain office, there is no guarantee that Beijing will reciprocate, especially if Xi concludes that the DPP, which will not agree to the “one China” principle, remains committed to de jure independence. The People’s Liberation Army continues to threaten Taiwan, and Chinese espionage, cyber warfare, political warfare, and united front work targeting the island have all intensified in recent years, hardly the sign of “a strong relationship.” The “one China” is anything but “a standard,” and the political issues are certainly not being “worked out over time” — unless we confuse coercion with resolution. The deep (and possibly irreconcilable) contradictions that exist between the two societies, meanwhile, are only becoming more salient as contact increases. That part of Sherman’s answer is striking for its mendacity. Note that there are no ups and downs between China and the rest of the world, just between Taiwan and the rest of the world. She shifts the blame: Taiwan is the “troublemaker” in the equation, and we can well imagine that the said “ups and downs” are caused by Taiwan’s desire for dignity and self-determination, perfectly legitimate aspirations that Washington supposedly upholds and will fight for. The problem with Sherman’s remarks is that they ignore the current situation in the Taiwan Strait. However inconvenient this might be, her rosy picture of the state of affairs between Taipei and Beijing — and more importantly between the two societies, which are fundamentally different — is wishful thinking. Of course Washington can pretend that things are moving in the desired direction and that the Taiwan “question” will disappear once and for all. But such an outcome is very unlikely, as dynamics within Taiwan are moving in the opposite direction and will eventually compel Beijing, which by now should have realized that economic determinism (“buying Taiwan”) has no future, to adopt more coercive measures. So more, not less, tension in the Taiwan Strait is the likely scenario for the next decade or so. Let me provide my own answer to Zang. Taiwan is not talked about a lot these days in this town because many members of the political elite, experts at think tanks, and the media there have internalized Sherman’s version of reality. Her dream is what Washington hopes is the case, and those who dare to argue otherwise have been treated as outliers, or worse. Taiwan is also not talked about a lot as a result of Beijing’s sustained political warfare campaign, supported by large amounts of money, which at its core seeks to excise Taiwan from all discourse on the region. The result is that reports and books on the region, or academic conferences, contain fewer and fewer references to Taiwan, let alone to the distinct nature of its society. Officials like Undersecretary of State Sherman have fallen victim to Beijing’s propaganda and are now unwittingly helping propagate its message. Sherman’s dream offers a comforting and highly convenient picture for Washington, but it’s an illusion. It’s time to wake up.